The Fila FM 100 skates are particularly well suited for medium to long workouts. Inline skates are convincing with robustness and good technique. 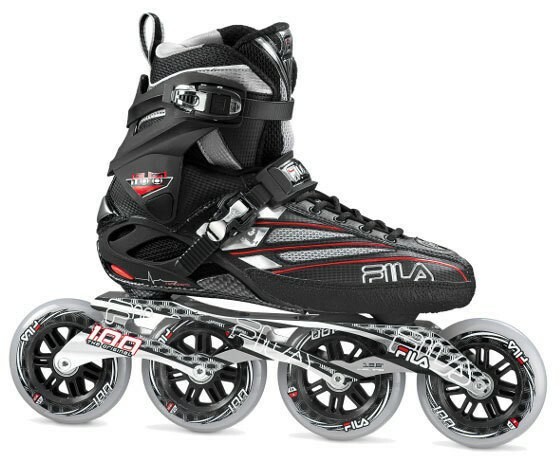 The skates can skate for both the leisure and fitness, as are also used for speed skating. The Fila Fm 100 was equipped with a mid cut, particularly contributing to the ankle support. A secure hold in-line skating is always important, but especially if you want to start with the speed skating, you should start to take a skate with Knöchelunterstzütung because your connective tissue is probably not austrainiert from beginning to it. With 100 mm wheels high speeds can be achieved without compromising the maneuverability remains on track.